For some reason, the terms ‘person experience’, ‘patient experience’ and ‘customer experience’ have become conflated to a rather unhelpful degree. I would like to be careful how I say this, though, because we do know that bad customer experience does exist for people living with dementia and care partners, and guidance or standards can help. Corporate marketing can give high street brands a helping hand with adding competitive advantage, by making them more ‘dementia friendly’, and in return these high street brands can give a bit of marketing for the charity in return. This is, of course, not the time for cynicism. ‘Dementia friendly communities’ have also in a more recent configuration which emphasises a rights-based approach. I’ve often felt that the rights-based approach gets confused with party A taking party B to court over matter C, but they are much more of a question of a rights consciousness. 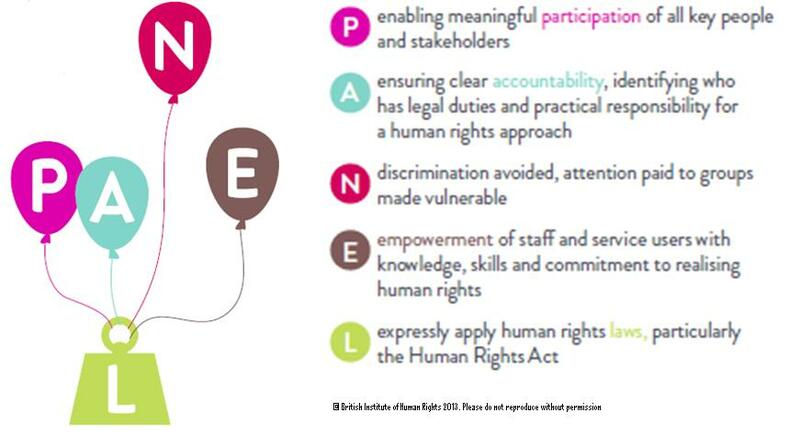 The PANEL principles were originally proposed to articulate this rights-based approach, and are summarised here. PANEL stands for Participation, Accountability, Non-Discrimination and Equality, Empowerment and Legality. I have seen with my own eyes the subtle, and indeed not-so subtle, discrimination of society towards people with dementia. This is disappointing as the Prime Minister Dementia Challenge was fist introduced five years ago. I might be standing in a room with my mother, known to have a diagnosis of mixed Alzheimer’s and vascular dementia, and a third person can often completely ignore her because of her diagnosis. For all the millions of ‘Dementia Friends’ which have been created, the question remains whether a genuine cultural shift in attitudes has existed. Various unknowns exist, including how bad things would have been if there had been no public awareness campaign for dementia. 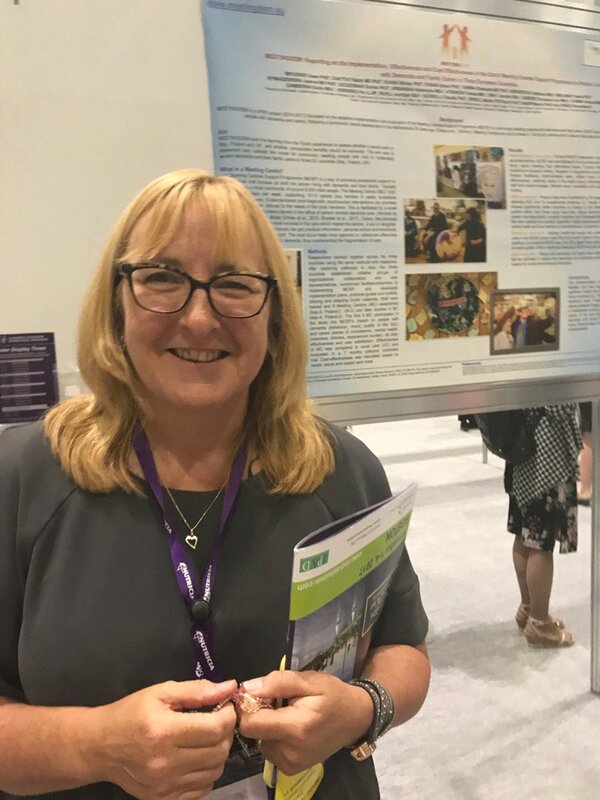 A significant problem which pervades all the work looking at whether there is merit in the dementia friendly communities approach is knowing how much time to give the dementia friendly communities to ‘take effect’. Participation is something which can be looked at directly. 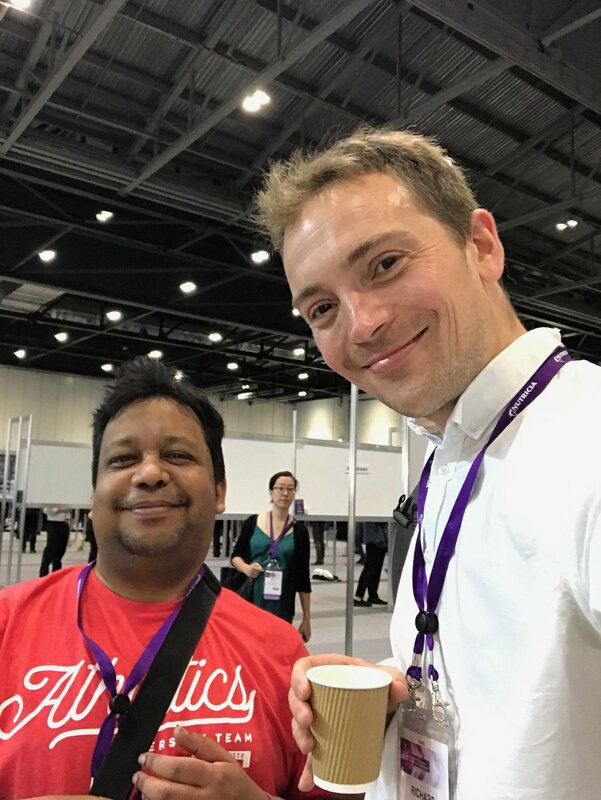 Democratic inclusion is a matter of principle, and it would be interesting to know how many people with dementia, including in care homes, are actively supported to vote. This might involve making reasonable adjustments for participating in the voting process. Many of these aspects can be looked at also by looking at how many persons with dementia, now patients of the NHS, are able to secure a GP appointment in the festival of ringing up at 8 am when the GP opens. Many barriers might exist, such as being oriented to the time, remembering the GP number, recalling the purpose of the appointment, and so on. The scale of ambition is also worth looking at. We could look at how many providers are providing NHS information in an accessible manner, but this is venturing into the area of competitive advantage, especially where providers in dementia services exist in a private market. 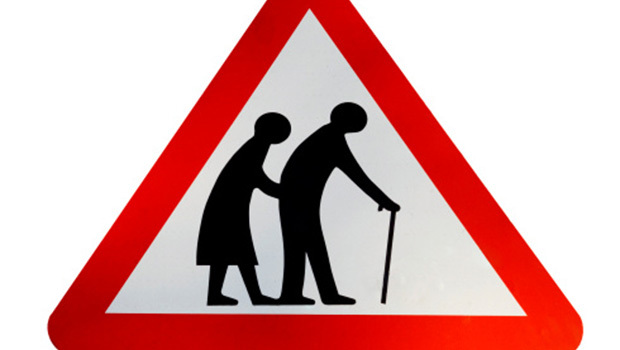 But what is interesting, with the problems in legal aid and access to justice aggravated from 2012 especially, is how many persons with dementia on receiving a diagnosis are able to secure a lasting power of attorney. Again, we would expect a significant difference right now between communities which are ‘dementia friendly’ and those which are not. So, in summary, I feel that the focus on customer experience in high street shops is a bit of a canard, and wider issues of access to health, access to justice, access to health or participation in the democratic process should have been tangible benefits of ‘dementia friendly communities’ by now. Whenever there is a restricted number of participants in a crowded market, the quality of the product tends to fall as the participants collude with another. The botched performance of Carillion is a reminder that it’s often the same people on the same management boards of the same companies supposedly competing with another. And it’s the same for certain charities, with the same workforce with different operating brands, simply faking diversity, but in reality offering zilch thought diversity. Dementia is not of course political, unless you include the ‘chosen ones’ performing very well in the Queen’s Honours List. I really feel it’s time to call out the nonsense of certain ‘dementia friendly’ brands, such as ‘dementia friendly emergency departments’. I actually have no ideological objection to an enhanced ‘customer experence’ of a patient in an emergency department, but the hijacking of ‘dementia friendly’ a certain way has led to this construct meaning a better customer experience rather than, say, promoting the health of people with dementia and care partners. There is a ridiculous secondary gain for charities to award scarce resources to fund research into dementia friendly emergency departments so that a few press releases can go out to comfort us all. Forget people with dementia dying while waiting for hours for an ambulance. Ignore people with dementia waiting for hours on a trolley waiting for a hospotial bed, or waiting for hours for transport to go home. 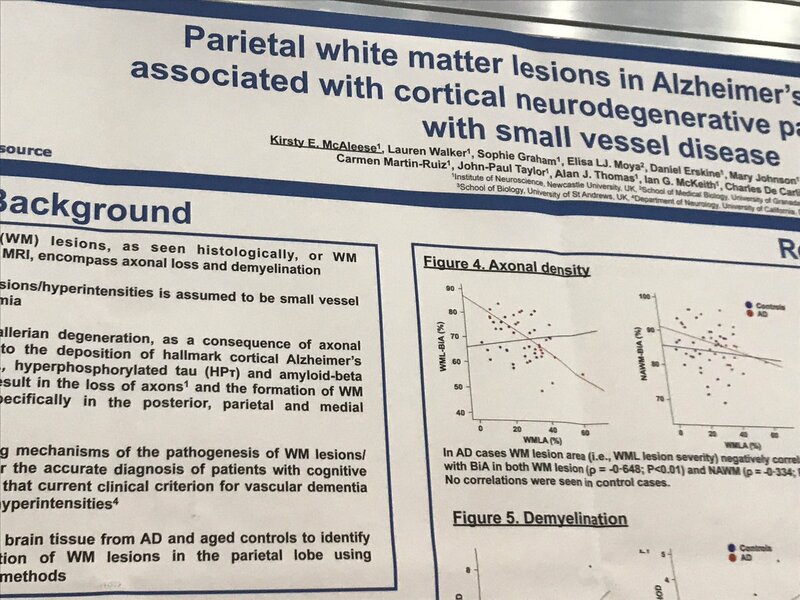 I am basically appalled by how relaxed some principal investigators in research, who are regulated by professional bodies, appear to be in declaring their financial competing interests when publishing academic papers, particularly in areas where these interests affect diagnosis or treatment of dementias. I am worried how regulated professionals do not appear comfortable about speaking out about unsafe level of resources for dementia care, particularly if they are worried about their research monies being threatened. The sheer contempt for specialists in dementia seems to predate the hatred of experts which accompanied the Brexit debate. For example, I don’t feel that the culture is healthy enough for us all to have a meaningful debate without causing offence and outrage about the difference between minimal cognitive impairment and dementia, or the heterogeneity within dementia, when I know of at least two people with dementia who will have published books on living with dementia by the end of next year. The atmosphere really has become quite threatening for some specialists now afraid to voice opinions, with tropes such as ‘people with dementia and care partners are the real experts’. As it happens, I am a full time carer of someone living with dementia too. But it worries me that in the forthcoming APPG consultation on ‘dementia rights’, something I myself wrote a book chapter on in 2015, it will be exactly the same usual suspects, with exactly the same ‘empowerment and engagement’ causing exactly the same stale predictable narrative. But we do need people to speak out on important issues, on why certain people find it so difficult to obtain an assessment for legal power of attorney following diagnosis, or how people with dementia might interact with the law if it feels that certain decisions need to be made in their ‘best interests’. We need to discuss whether people have equitable access to medical and legal opinions. Simply airbrushing these discussions due to convenient pseudo-consultations which don’t ask the right questions from certain people, because of dementia friendly cronyism, is not right. I think the atmosphere of how dementia care and research are evolving is really not right at the moment, and needs urgent attention. It’s when it’s a case of ‘who you know’ rather than ‘what you can contribute’ then you need to worry. Are we there yet? The road to the dementia cure is paved with biomarkers. This was the CORRECT entrance – the Eastern entrance. 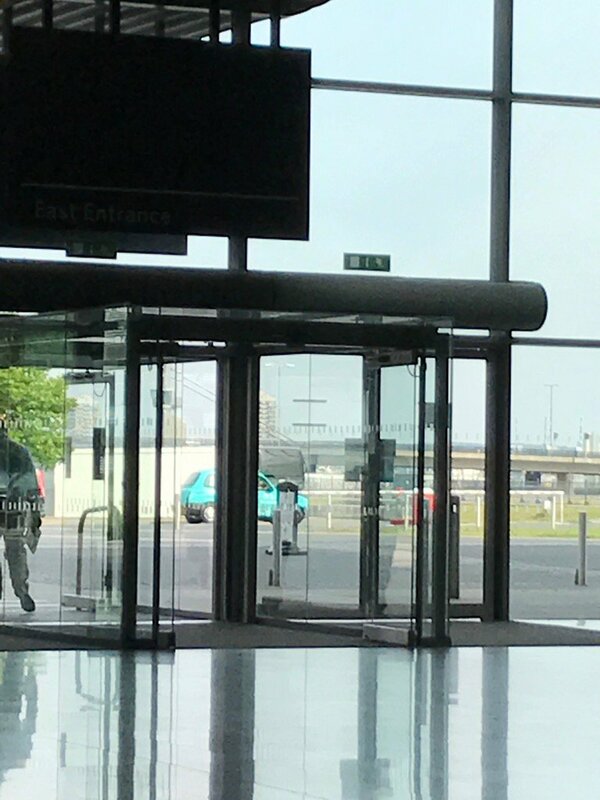 If you come to the ExCeL centre in anything other than a black cab, you will be circling the complex for hours before you set foot in an entrance. Make no mistake – this particular conference was intensely scientific. 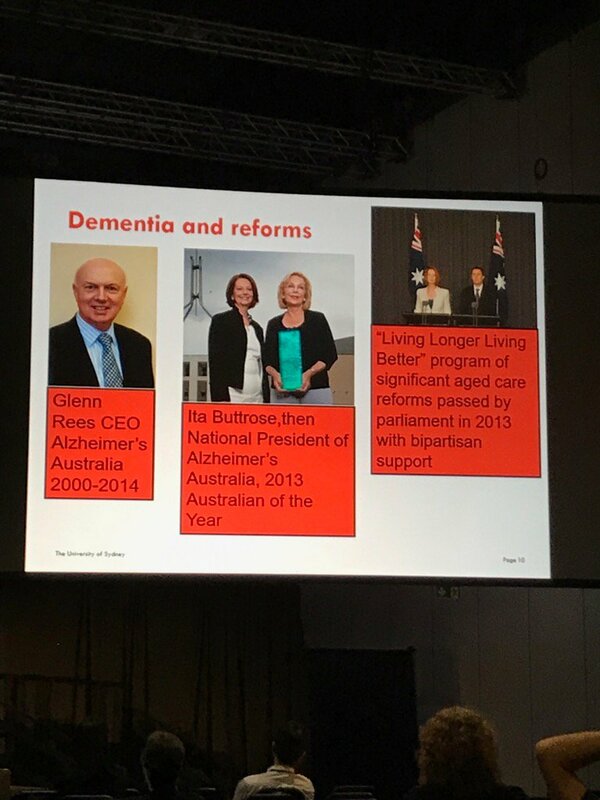 But it was nice to sink one’s teeth into the something other than the dividend-producing engagement and empowerment of the dementia industry. 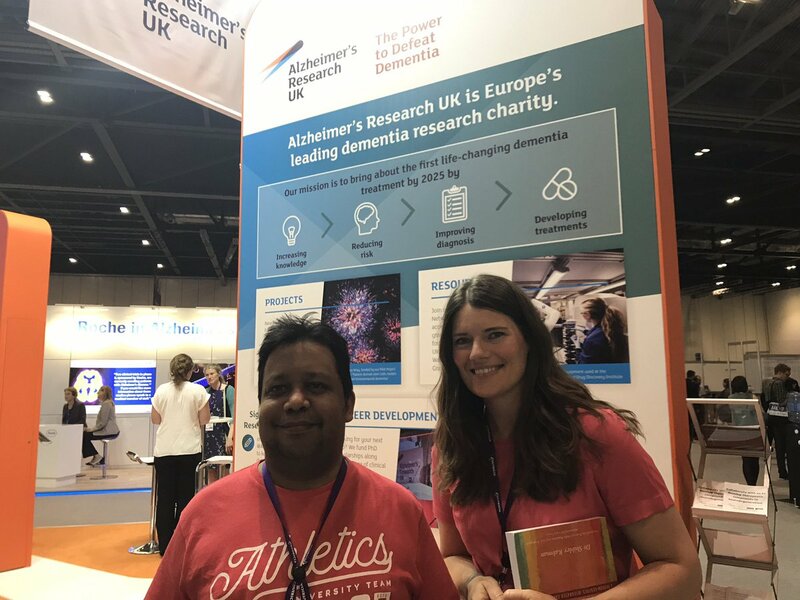 Being a card-carrying academic, I personally think there is a lot to boast about in terms of the quality of neuroscience being done globally for dementia. Unfortunately, the genuine advances in the socio-economic-legal policy are dwarfed by a vocal minority of people with massive egos, who have a pathological addiction to introducing themselves to members of their inner circle. But the good guys were there in force – mainly my Specialist Registrars from 2002 who had now become Professors in dementia at Queen Square. 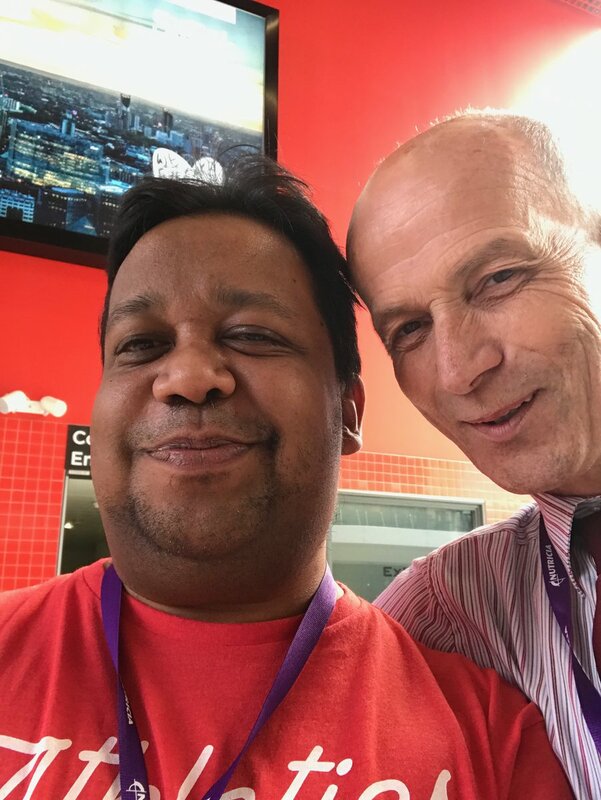 Prof Martin Rossor – our boss – in fact tapped me on the shoulder as I was walking along one morning. I thought it was a security guard at first! So there are many reasons to be cheerful. 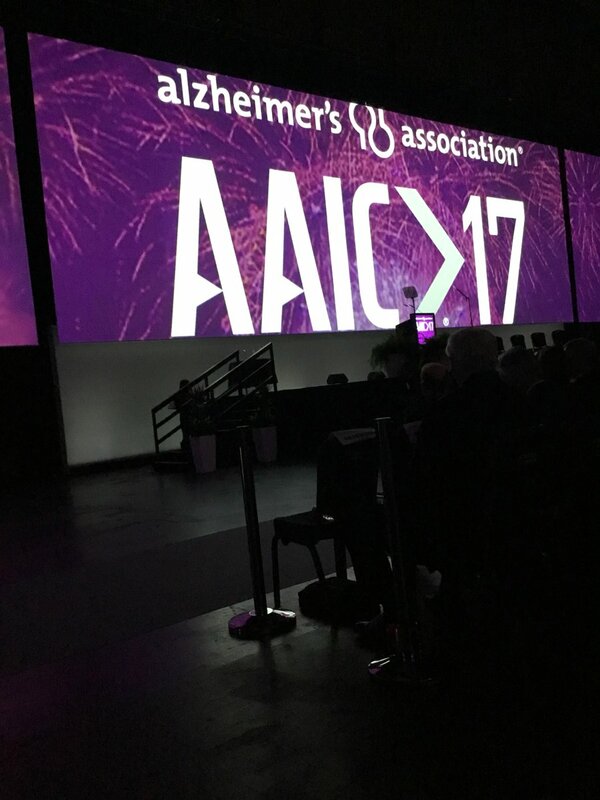 #AAIC17 for me was total heaven. The enthusiasm of the researchers was authentic and deep, and the camaraderie was inspiring. I still think this was one of the best slides in the whole conference, presented by Prof Philip Scheltens. 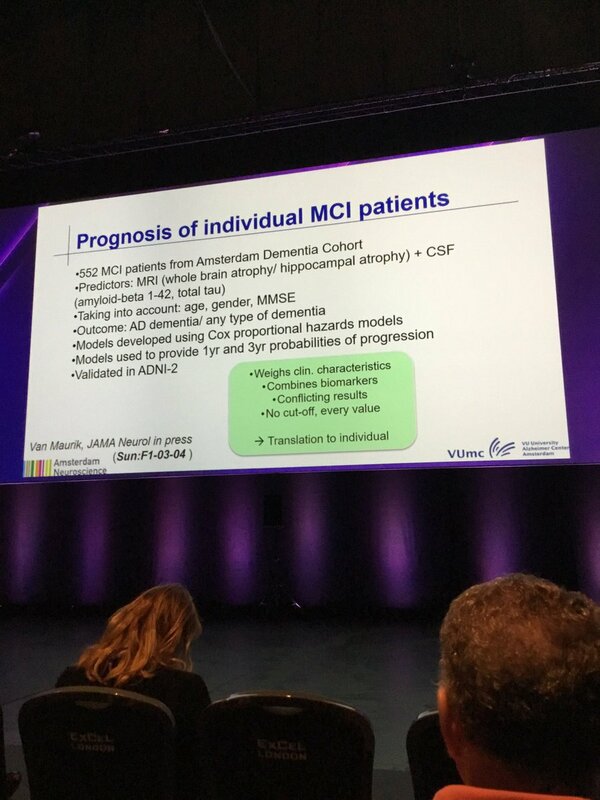 The mild cognitive impairment (MCI) continues to be rather fraudulently in my opinion as a ‘staging post’ to dementia, and there indeed to be some professionals who cannot even tell the difference between MCI and dementia. This is rather worrying. 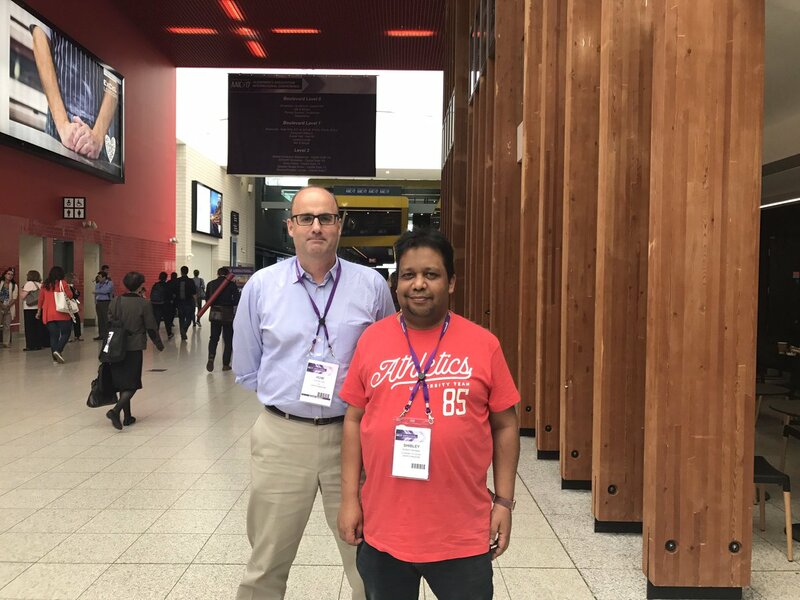 The narrative of the ‘conversion’ has been far too overblown – with nearly hyperbolic remarks on its importance in the lifecourse trajectory in the Lancet Commission which emerged at the end of the conference. 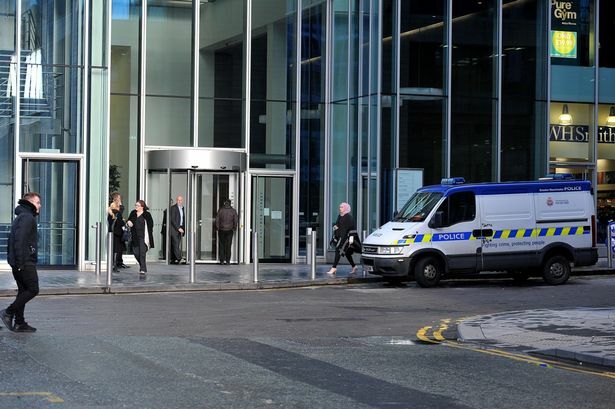 The Commission curiously contained a reference to mild behavioural impairment – legitimising of course the self-entitled pronouncements of the medical profession of ‘what is normal’ when it comes to behaviour or cognition. I agree with the Aunt Sally argument that there is some behaviour which is clearly abnormal (though in Cambridge it was hard to tell as there were indeed some people who had won the Nobel Prize more than once). But one has definitely to be worried about human beings being drugged up to the eyeballs for being a ‘bit apathetic’ or a ‘bit depressed’, on the off chance he or she might develop dementia one day. I found the Conference quite relaxing, like some package holiday one had been waiting patiently for for months. My questions at the poster sessions ranged from ‘Where do you park your car at Addenbrooke’s?’ to ‘How long does it take you to do a lumbar puncture?’ Unfortunately, the young postdoc had no idea how long lumbar punctures took, despite her poster being all about CSF TDP43 markers and diagnosis – but she knew the junior doctor had done them all for her. 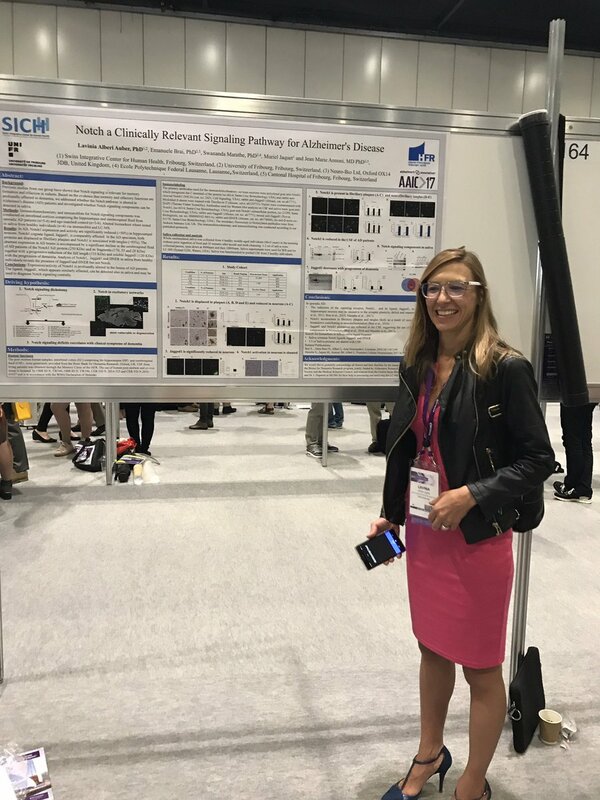 This is in a sense how idealised and pie-in-the-sky some of the international research has become – the need to focus on a chemically accurate diagnosis, whatever the symptoms are. 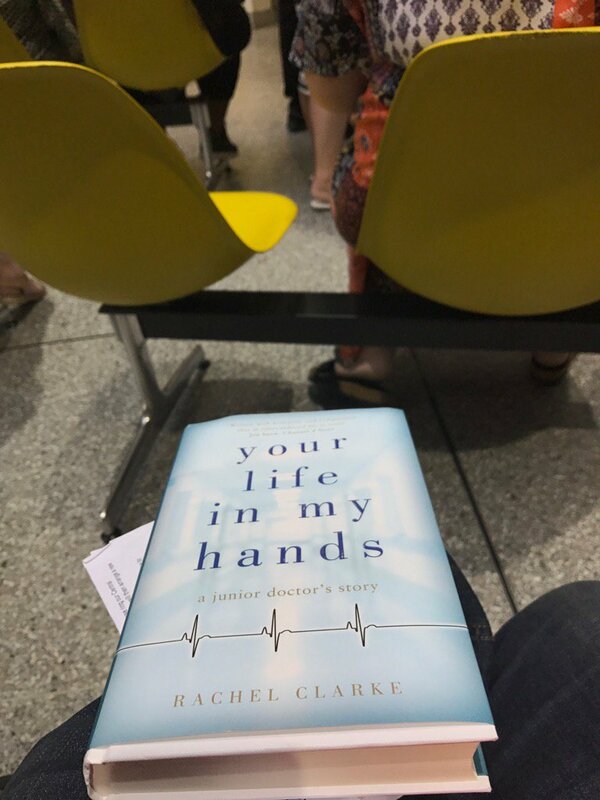 Like everyone else, I was there to flog something – my book in fact – available from all good bookshops, but possibly not from the Big Charity in dementia as yet. 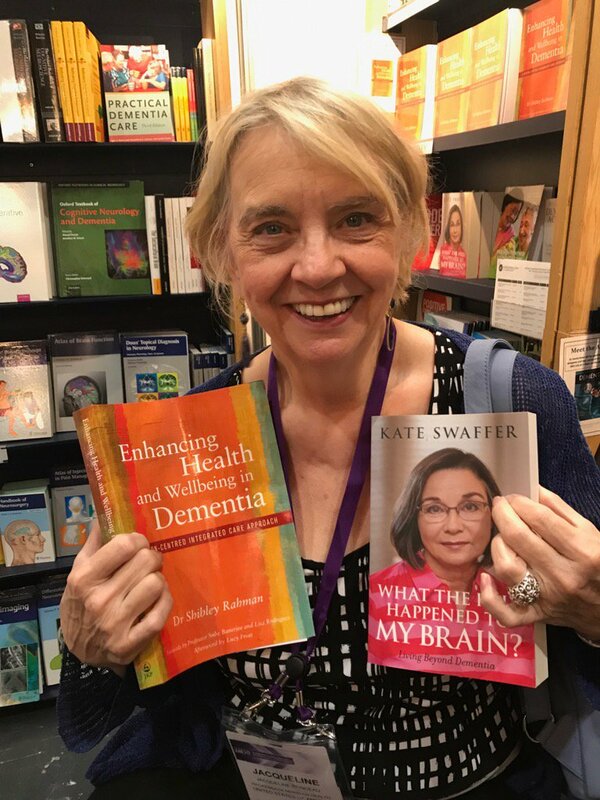 And this person is a genuine ‘consumer’ of books of mine and Kate Swaffer, who sits on the World Dementia Council and is CEO of ‘Dementia Alliance International’ – the largest stakeholder group of people living with dementia in the world, the partner organisation of Alzheimer’s Disease International. 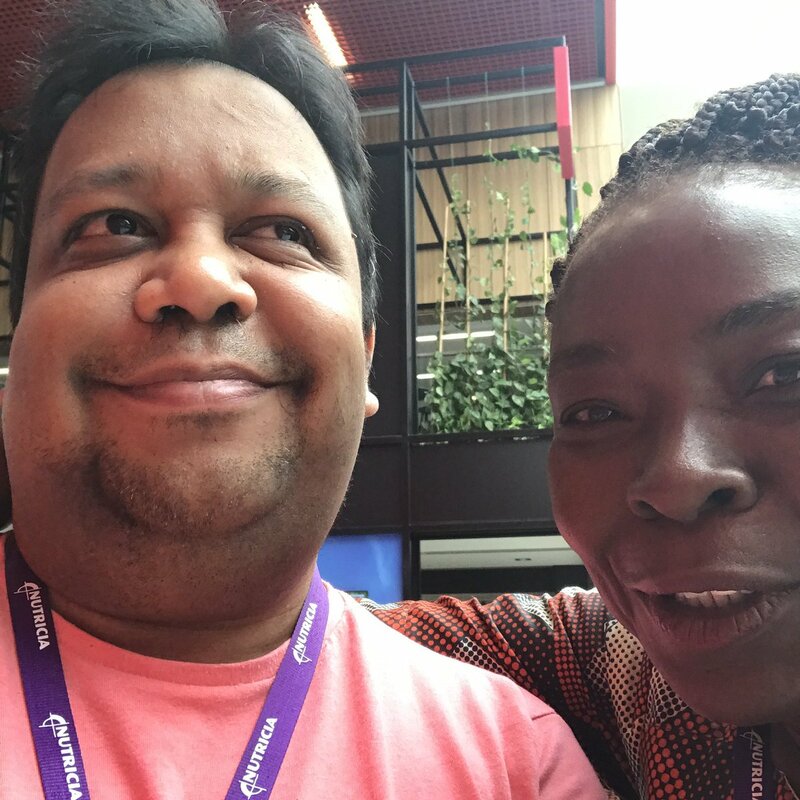 It was great to see Kiki from Kenya, who is doing great work on the World Dementia Council – and also a friend of ours. 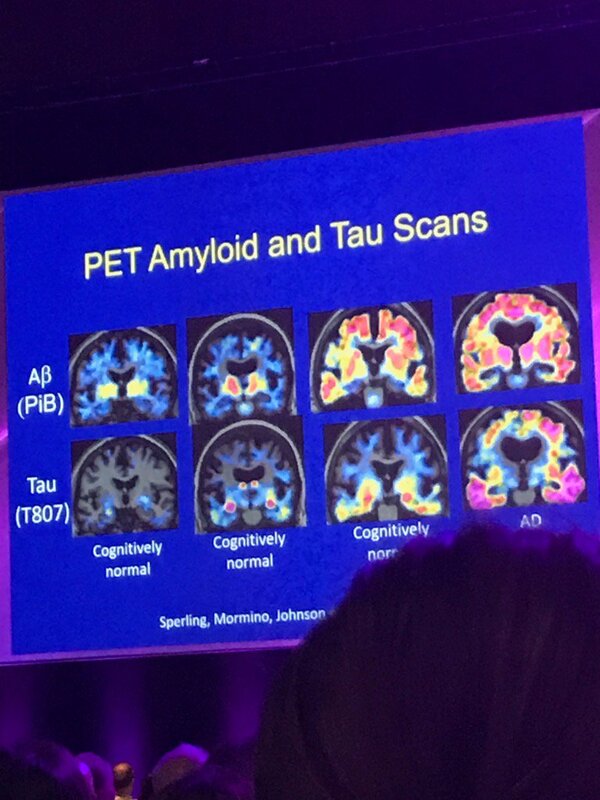 Everyone knows that the current state of the amyloid hypothesis is a mess – for example, “the drugs don’t work” and there are people around who have loads of amyloid plaques and better cognition than you or me. But why spoil a good story? The feel good factor, like you get in a Billy Graham convention, is of course what conference goers in dementia lap up. 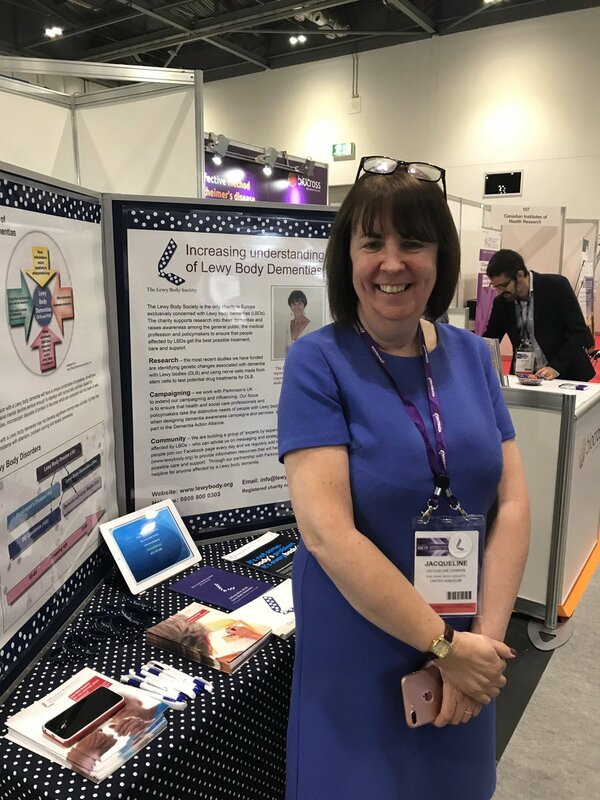 It was nice to see the Lewy Body Society – they have ALWAYS supported my work, and included me. And I am interested very much in Lewy body dementia, and I think Prof Ian McKeith is great. 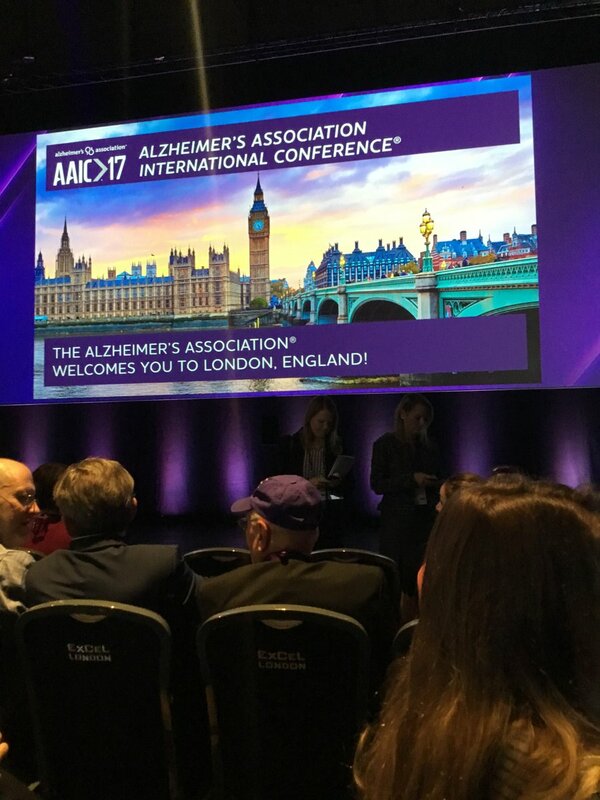 The members of the Alzheimer’s Research UK team were fun all week – and it was great to see Hilary Evans (and George). 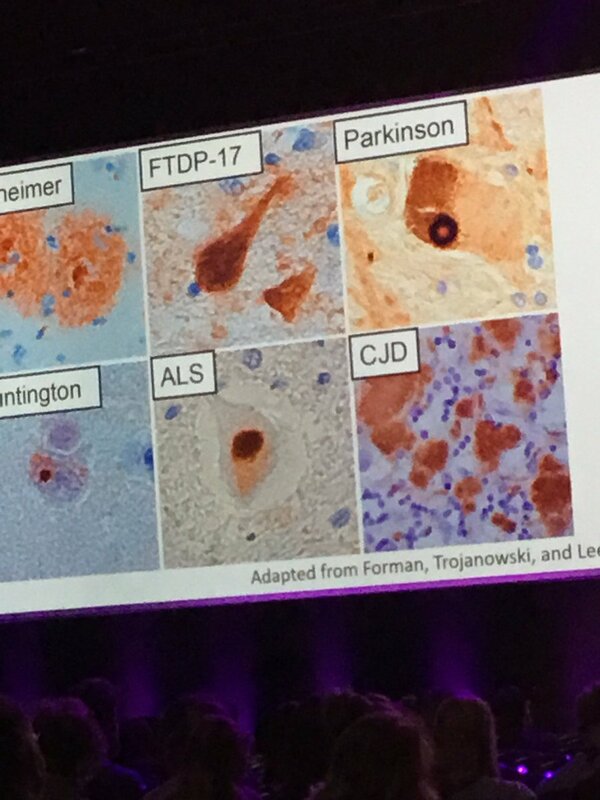 The work being funded by ARUK in neuroscience is of course a complete contrast to the lack of good neuroscience, apart from on cholinesterase inhibitors, which emerged in the Lancet Commission on dementia. 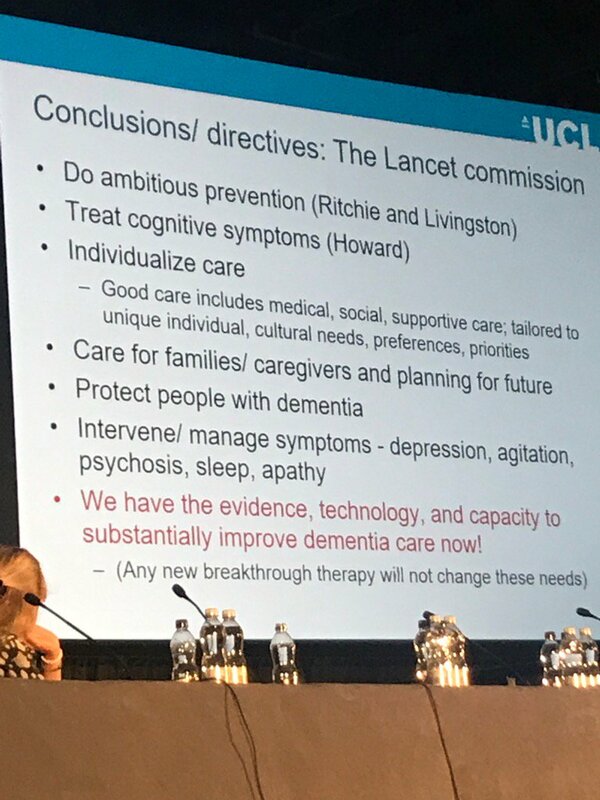 The Lancet Commission on dementia seemed to confuse seamlessly whether the authors were discussing Alzheimer’s disease only at one minute, or >100 different types of dementia at another minute. But then again – for some researchers – the Alzheimerisation of dementia was complete long ago. There was barely any sensible comment on the neurobiology of sleep in dementia, for example, the mechanism by which sensory impairment might lead to Alzheimer’s disease or any other form of dementia, or any meaningful biological mechanism of ‘cognitive reserve’ even though discussed at some length. 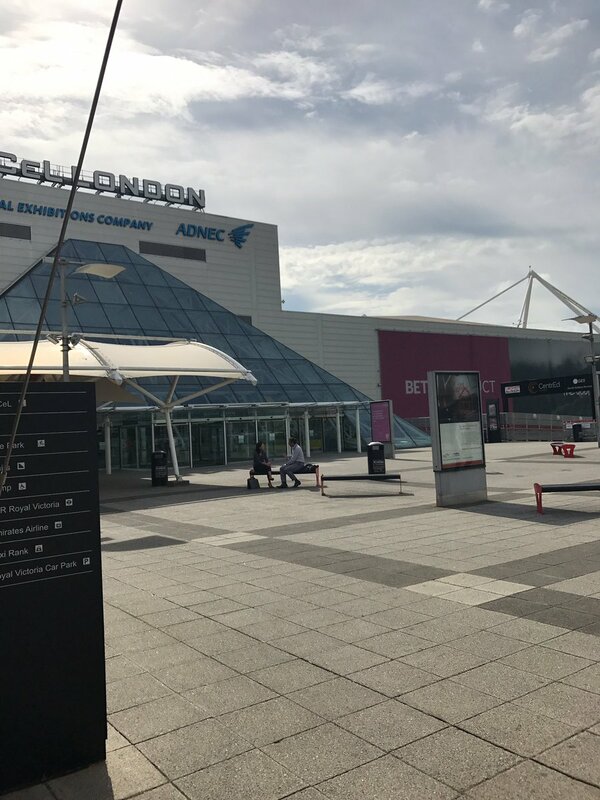 But I really should’ve been concentrating on the basics – as for half of the week, I entered the ExCeL centre through the wrong entrance. This was, however, one of my favourite posters. There is much to be said about how genes, prominent in the development of the human central nervous system, behave in dementia. 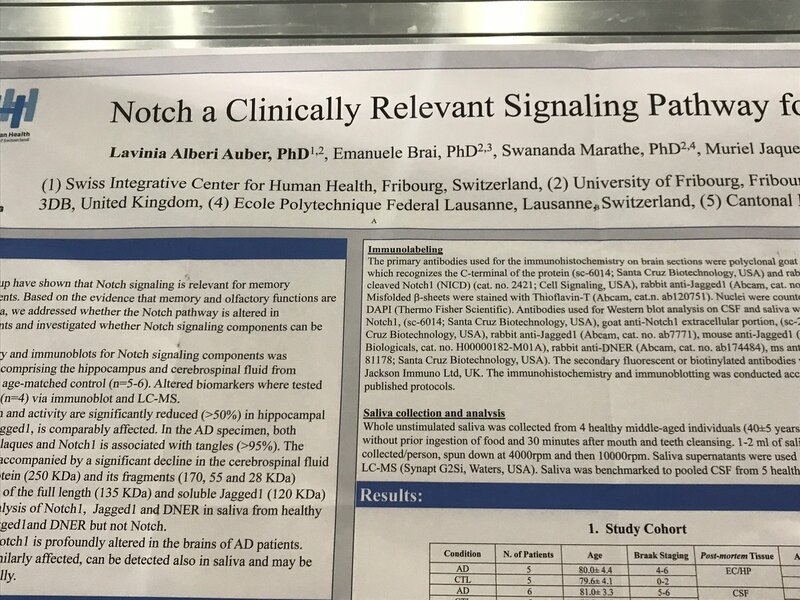 I know notch-3 because of its rôle in vascular cognitive impairment, specifically CADASIL, but I found Lavinia Alberi Auber’s work as a PI brilliant. Lavinia was extremely knowledgeable about notch (and Wnt and wingless) as you’d expect her to be. This was another amazing poster by Kirsty McAleese. Definitely a star in neuroscience for the future. 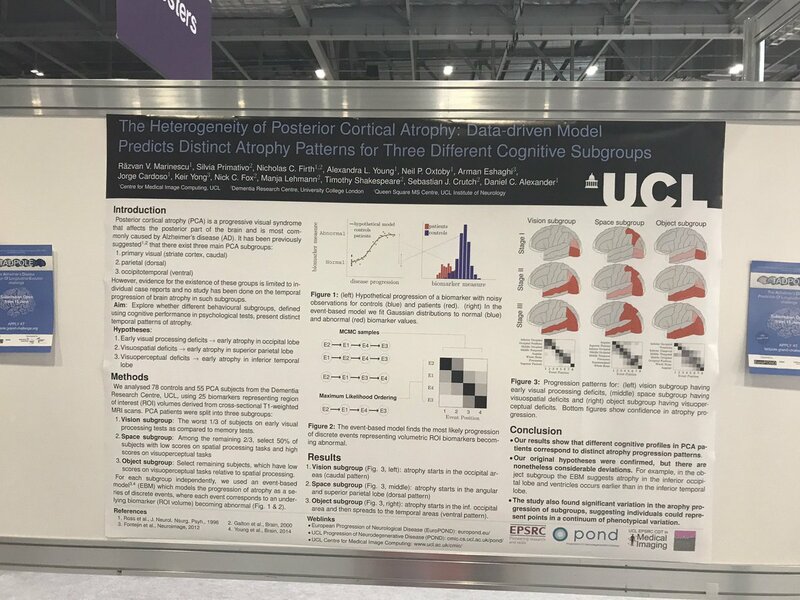 The importance of the poster for people interested in how the parietal cortex goes wrong in posterior cortical atrophy cannot be overstated. I’m a huge fan of the work of Prof Seb Crutch – so I was immediately drawn to these striking results on the neural substrates of posterior cortical atrophy. 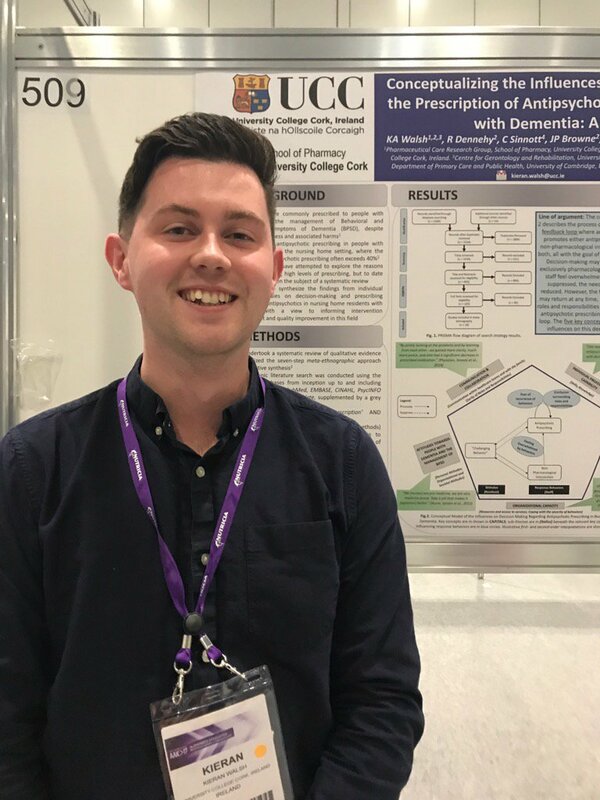 Kieran presented his brilliant work on the factors affecting the prescription of anti-psychotics. 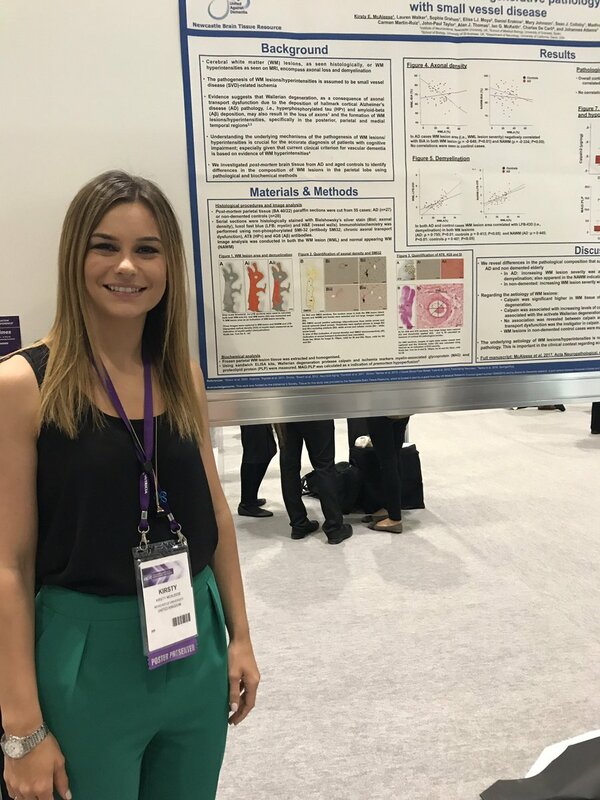 The content and tones varied a lot – so one minute it was Kirsty’s poster, and then it was Assoc. 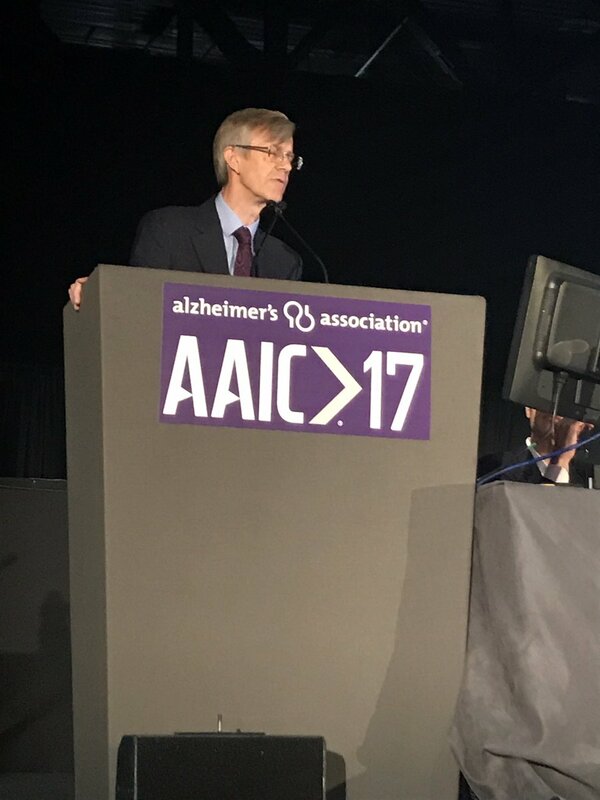 Prof. Lee Fay-Low with a sensational talk on dementia policy. Seeing Prof Henry Brodaty walking around was exciting as seeing Bob Dylan in person. 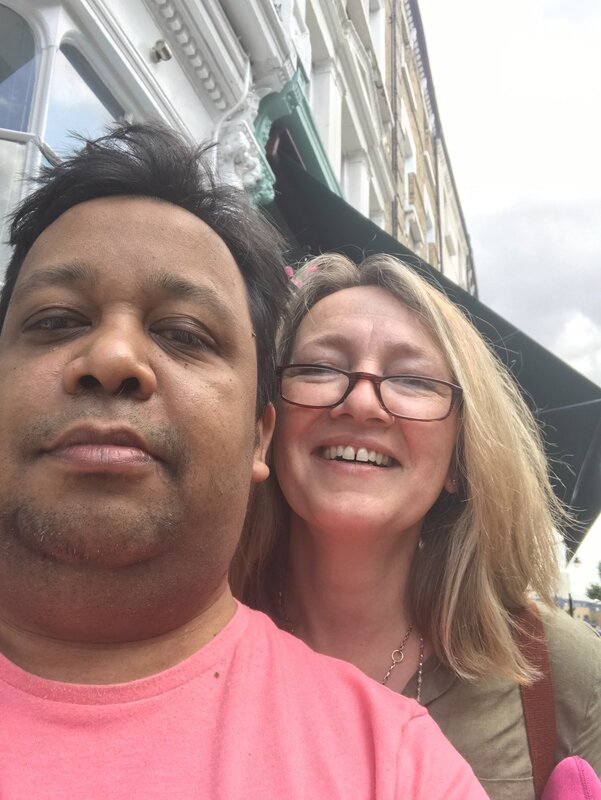 It was great to see some familiar friends, and now good friends, like Prof Dawn Brooker. 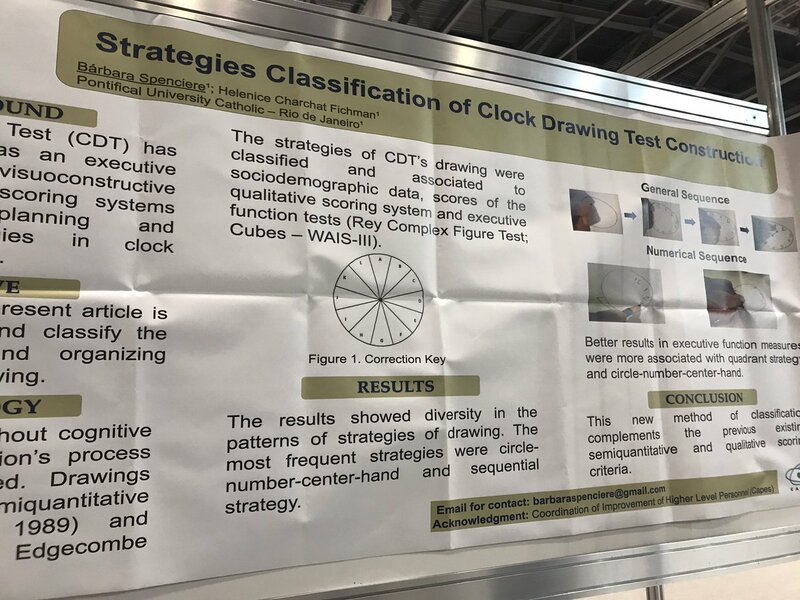 I looked carefully at Barbara’s poster on behalf of some geriatricians who strongly support the bedside ‘clock drawing test’ for dementia. With the ‘greater awareness’ of dementia (however-so defined), there is going to be a varying perception of risk. 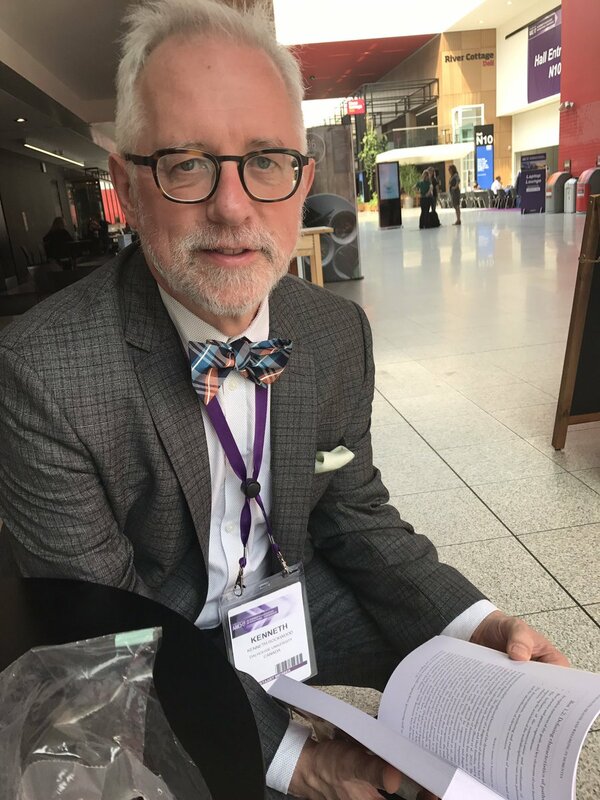 I’ve always liked Dr Richard Milne since we first met in Newnham College in Cambridge for a mini-conference on dementia. 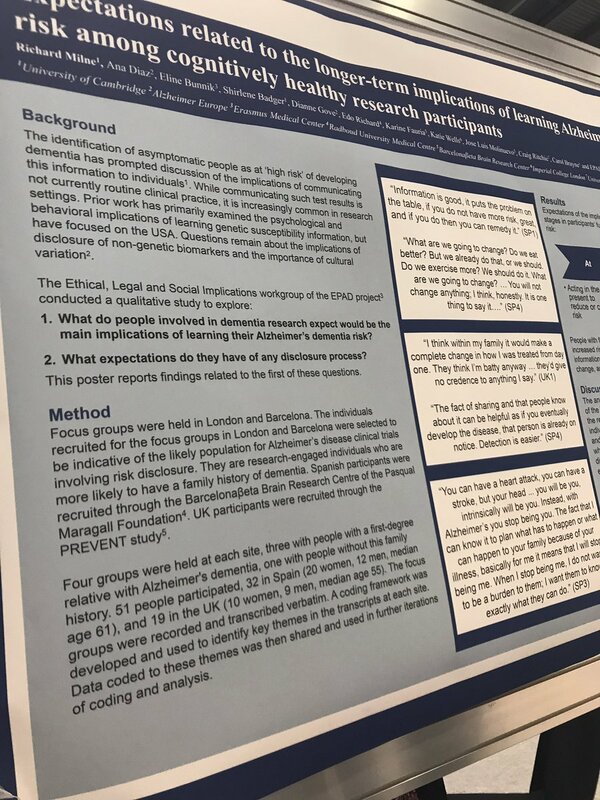 And his poster was a crowd puller – as well as really important work if we want to get people interested in slowing the progression of dementia in those people who’ve been newly diagnosed with it. 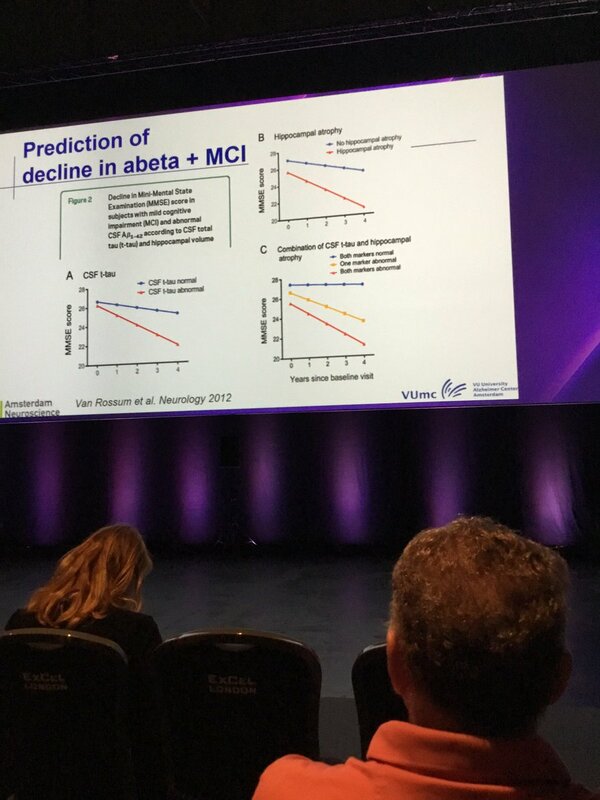 One hopes that the urge to publish something ‘big’ on dementia during #AAC17 was not primarily due to the lack of progress on novel neuropsychopharmacological cognitive/behavioural interventions (and a big Phase III trial result) – but of course I would never be so cynical. It makes intuitive sense that dementia develops long before the existence of symptoms. 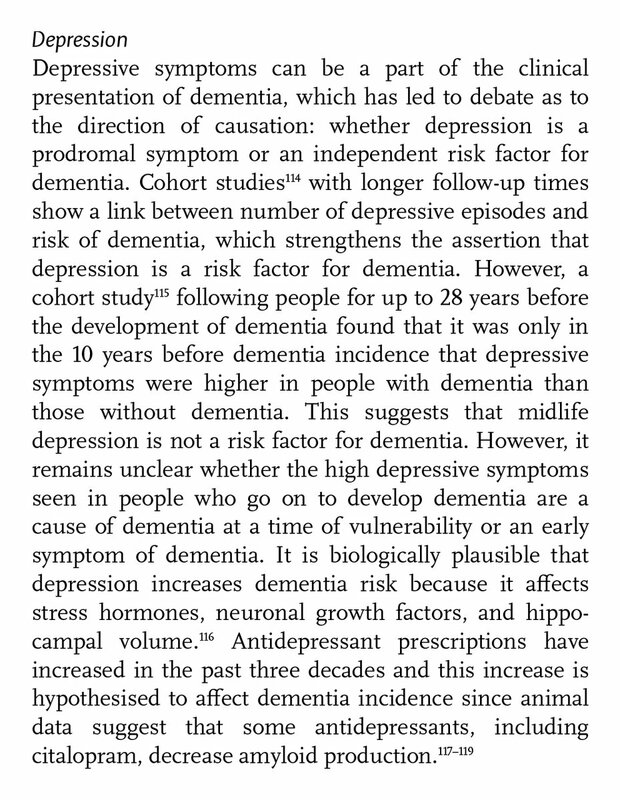 In other words, brain changes which lead to dementia are already setting foot in people when they are young. 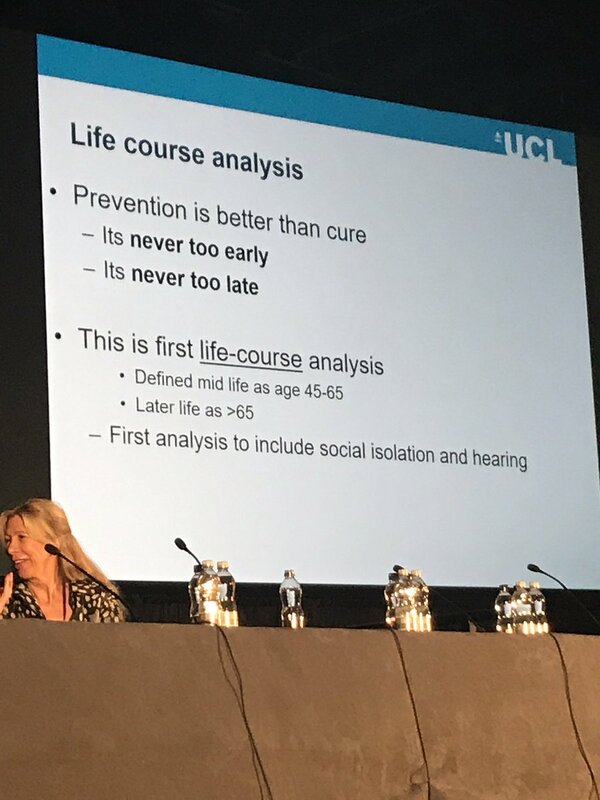 But the problem with framing it as ‘this can prevent you from getting dementia’ argument is precisely what somebody living with Lewy body dementia once told me – “Shibley, I did none of that, and I still have dementia.” It is far better to frame the approach as risk reduction. 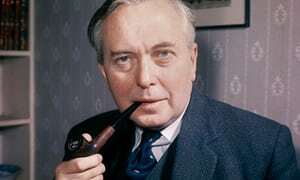 Baroness Thatcher and Harold Wilson were both highly educated Prime Ministers, having gone to a University called Oxford University. And they both developed dementia. There will be people who live ‘virtuous lives’ and who still go onto develop dementia. Quite amazingly, there is no mention of “determinants” in the main body of the text – and inequalities is only mentioned once in the text of the Lancet commission. This is simply not acceptable if one is taking seriously a life course analysis. 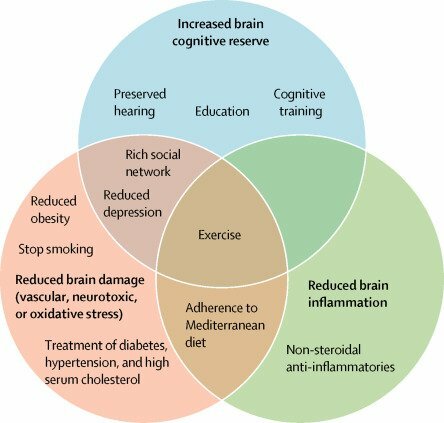 I was left genuinely wondering whether this Venn diagram from the Lancet Dementia Commission could’ve been easily adapted for frailty – but this thought is an artefact of the Commission consisting of the ‘great and good’ in that particular disease operating in rigid silos. For example, there as a huge amount on abuse in the Lancet Commission but nothing on deprivation of liberty safeguards. Academics work too in their own silos, promoting their own research grants too much, meaning that the work can too easily distorted and biased. There is never any discussion of the degree of independence of the factors (e.g. diet and diabetes), so consequently the results and discussion appear much more precise than they deserve. Prof Rob Howard’s talk was exceptionally useful – given how thorough and methodologically sound it was. But the acoustics were terrible. And the lack of sensible discussion in the talk and the paper on the factors affecting ‘social vulnerability’, such as the effects of poverty, poorly organised health and social care systems – genuinely troubled me. One of the questions in the audience alluded to whether the report was too medical – and I wonder about this too. 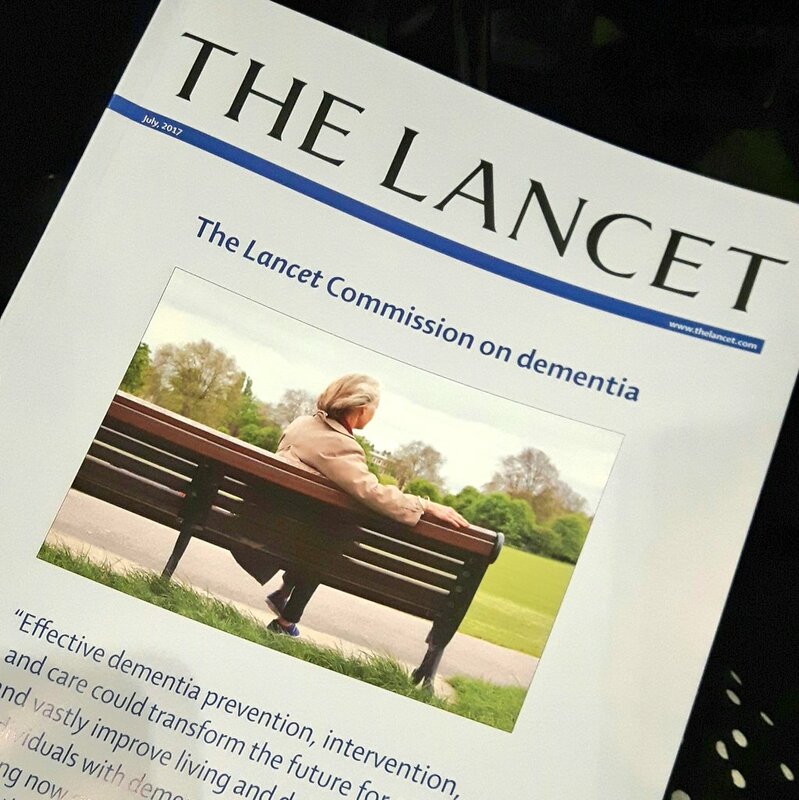 There is no mention of “advance decisions” or the “United Nations Convention on Rights of Persons with Disability”, and only a mention of human rights in relation to abuse, which lead to me to conclude that the The Lancet Dementia Commission did not understand at all the legal field of substituted decision-making and the full importance of autonomy. But having said that the discussion of advance care planning, and the importance of palliative care/end of life, was exemplary in my view. 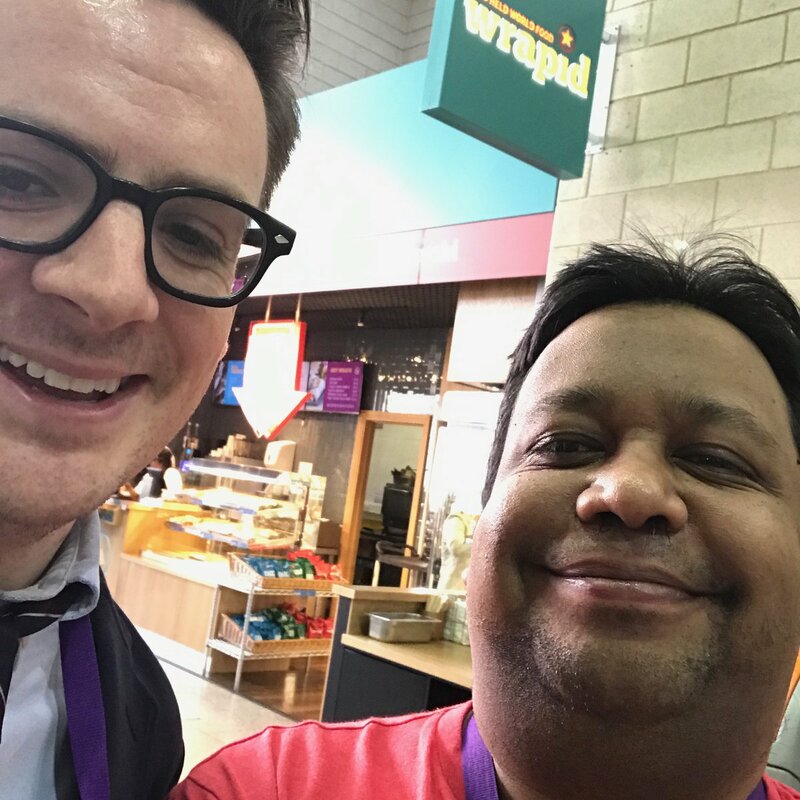 It was great to meet people I’d never met before – including Dr Joe Kane, a SpR in psychiatry with an interest in Lewy body dementia. 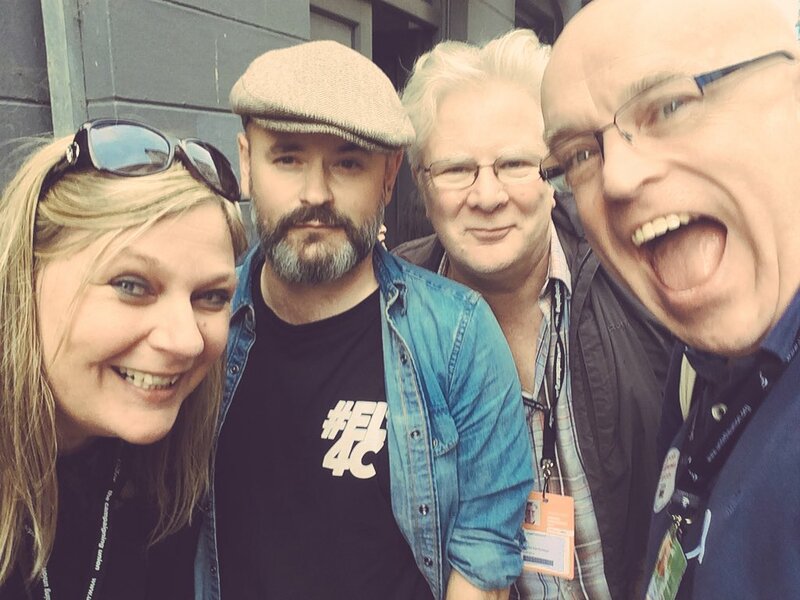 Some people transcend all whinges I have – because they’re such decent people. Chris Roberts is the best. Rebecca Myers and I have been writing a book together for some time. It’s called “Courage and leadership in healthcare: a critical analysis”. We are honoured that Sage Publications (Books), highly celebrated in this field, have agreed to publish our book in 2018. We hope that our book will find relevance to all health and social care professionals with a particular interest in management and leadership. We are actively looking for people who wish to volunteer to give a clear account of their experiences (such as – and this list is not exclusive and complete – difficulties in ‘speaking out’ against the system for example clinically in safe staffing or “blowing the whistle”, courage in raising issues about bad policy or conflicts of interest, courage in coping with public failure, courage in facing terrible standards in healthcare directly or as a close relative or friend, courage in scientific research, courage in dealing with personal loss of a loved one, courage in dealing with the illness of someone close). We anticipate that the book will have a number of important aspects – and we want people who use the health and social care services, as well as people who work for and run services, to tell us what they think is important about what is being done right (and wrong). Moral courage is the courage to take action for moral reasons despite the risk of adverse consequences. Courage is required to take action when one has doubts or fears about the consequences. Moral courage therefore involves deliberation or careful thought. The concept of moral distress is not new. Jameton (1984) offered the first definition of moral distress in the nursing literature. He stated that moral distress is the stress that occurs “when one knows the right thing to do, but institutional constraints make it nearly impossible to pursue the right course of action” (p. 6). Courage is also critical to people who run the NHS and social services. 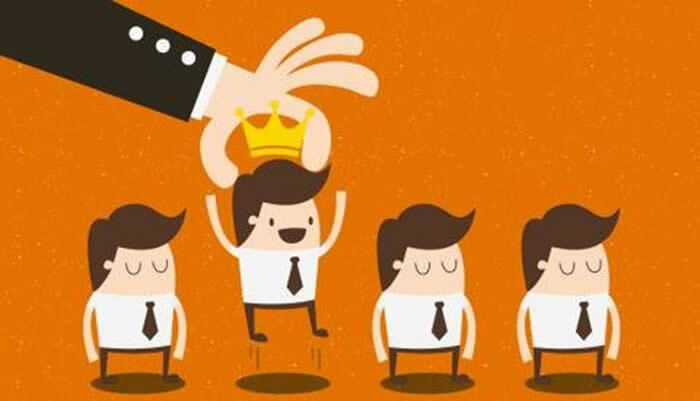 Lessons can be drawn from the leadership styles of people who have brought about exhibited great courage and brought about change, such as Gandhi or Martin Luther King. Change is a powerful force in healthcare systems, and essential for healthcare systems to match provision to meet needs of patients and users. Courage can be extremely personal too. Courage historically has been couched in the language of adversarial combat, and this runs in parallel with media messaging of conditions such as cancer or dementia. We will consider whether it is appropriate to consider cancer or dementia as a ‘fight’ – in that there are some cancers, for example, where complete remission is a possibility. While anything can happen to anyone at any time, the preparation of death is important, for example, in palliative approaches; and has implications for individual reactions to life-changing illnesses and the lives of close carers. The term “blow the whistle” has long been felt to be a strong phraseology for the courage to speak up against cultures which have gone wrong. Problems have still remained pursuant to the Public Interest Disclosure Act (1998) which is supposed to protect public sector employees. And yet speaking up courageously is often needed to promote patient safety, a key duty of all registrants in healthcare. We will give an account of the individual experiences of people who have spoken out against the system, including misdiagnosis of important conditions, criticising poor clinical care, and speaking out against child abuse. Often people who speak out find themselves emotionally and intellectually ‘burnt out’ too, and the chapter will consider the pivotal need to protect staff wellbeing too. Our book is a timely look at an important professional strand for all practitioners and professionals, patients and service users, and all other members of the general public. We hope you will help us get the content and style of the book right – and we hope especially you can directly contribute. Being a doctor, with other people’s lives in your hands, is a massive privilege. Much like a person who receives a diagnosis of dementia, I experienced enormous relief at receiving a formal diagnosis of alcohol dependence syndrome. For the psychiatrists, it was obvious. I was unable to stop at one drink. I would have to drink more to get the same hedonic effect. I used to drink to avoid the withdrawal symptoms. This June was in fact the tenth year anniversary of my six week coma spent in the Royal Free ITU in a coma. It was after that I became disabled. I had been resuscitated in fact by a colleague of mine who had been at Northwick Park. I sustained both a cardiac and respiratory arrest on the same afternoon in June 2007, as well as an epileptic seizure. It is no small thing, therefore, for me to say that I love the NHS. I remember, however, being very ill at the time of my job in a certain London trust. It was later remarked to the GMC years later that I had ‘bloodshot eyes’ and smelt of alcohol. Curiously, that Trust never made steps to help my health at the time. A consultant and his registrar never discussed these health issues at the time, either. I was certainly in trouble for my life, not merely career. In 2006, I was struck off. I then spent a year in a pub with no disposable income nor job, and a sluice of hate stories in the media. My late father spent the last years of his life utterly disgraced. I tried to rebuild my life again. I remember the GMC Fitness to Practise panel adking me in 2014 what I had learnt most from my time off the GMC Register. I explained that I finally felt I knew it what it was like to be a patient. It had been the first thing which came into my mind. But I feel it’s very true. 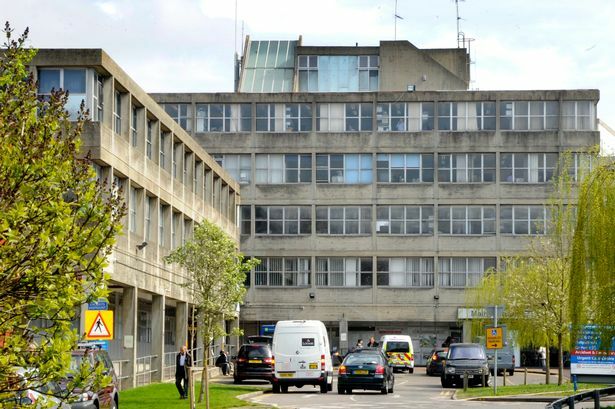 I remember the occupational therapists of the Albany Ward at the National Hospital for Neurology and Neurosurgery taking me on a shopping trip to the local supermarket at the Brunswick Centre near Russell Square. My job was to organise buying groceries. The day afterwards, my session was making a cup of tea. I remember the physiotherapy sessions – also in the community. I spent hours sitting on a rubber ball, while my friends who are now consultants and professors were beginning their specialist registrar rotations. I remember tiptoeing on a mythical line, to build up my pelvic muscles too. I then went onto do my Bachelor of Law and Master of Law. I remember going to see a Professor of law to discuss doing a possible PhD in criminal law, in the law of insanity. I remember the disappointment of me and my late father as he advised not doing a doctorate in law. I was then unexpectedly approved by the Solicitors Regulatory Authority to complete my pre-solicitor legal training. After a 3 hour viva, shortly after my father had died, I burst into tears and they offered me a box of tissues. 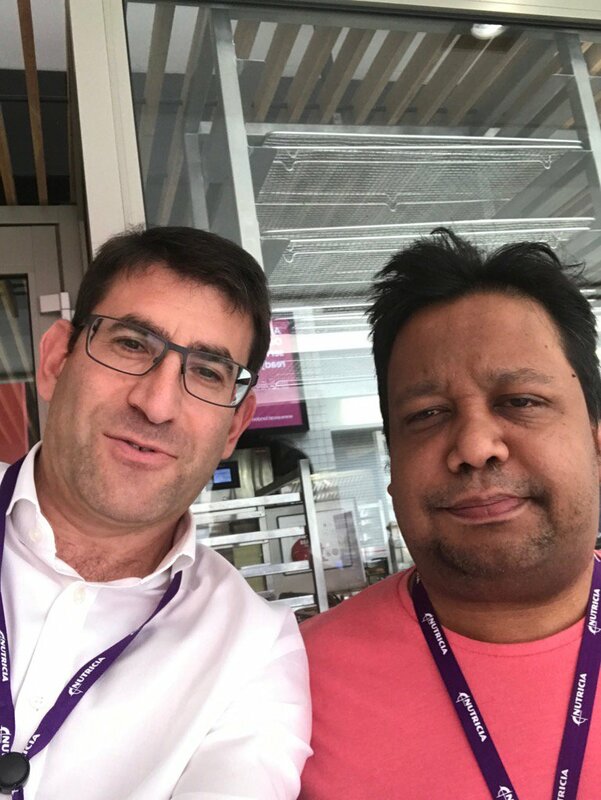 When I asked one of my other Specialist Registrars last week from that London Trust, now a Consultant in London, he said I would ‘hate clinical medicine’ because of the DATIX forms ‘used as complaints at Doctors’. 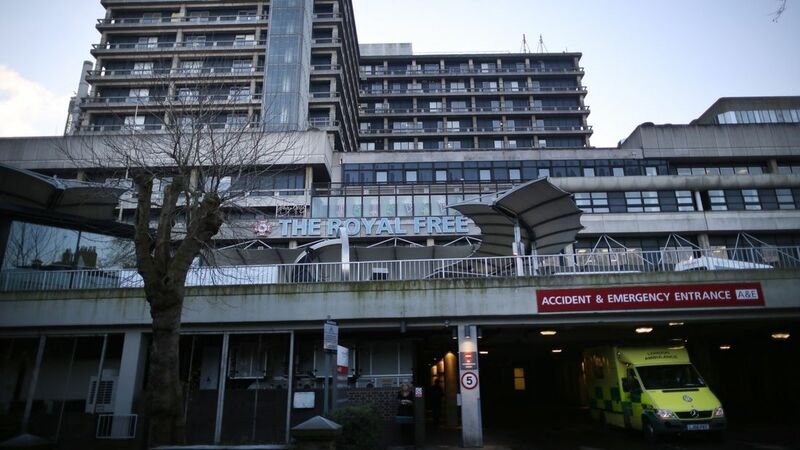 When 15 years ago at this London Trust, a dose of a medicine on a drugs chart was not dispensed because I wrote the wrong date on an overnight on-call, no “root cause analysis” was ever done. Instead, it became a big event in my GMC case. Notwithstanding, I have a wholly positive attitude to learning from mistakes for patient safety even today. I can’t eliminate all the triggers for drinking unfortunately. Stress is certainly one of them, but I managed not to relapse when my dsability benefit was recently taken away, despite being clearly disabled. I do remember the GMC asking me what I reckoned my biggest risk factor for drinking was. I simply replied: “Complacency”. I actually do love patients and medicine. 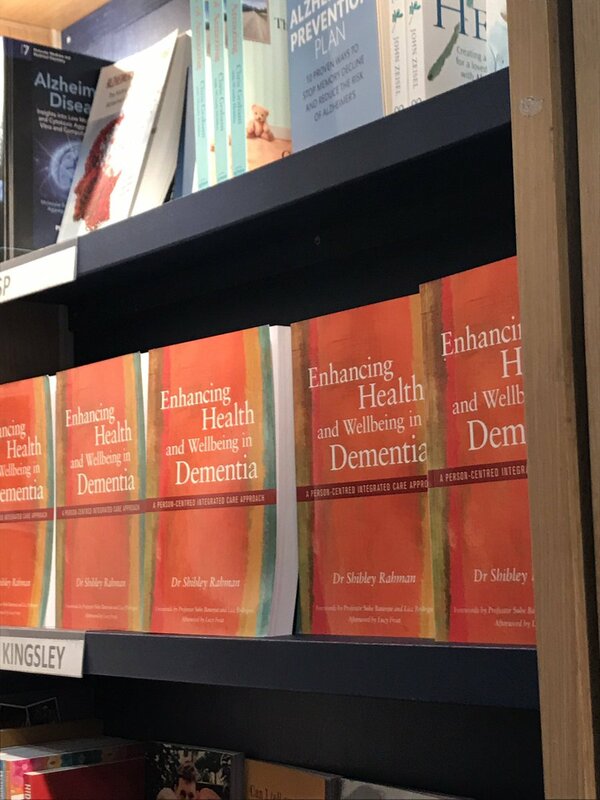 I have just completed three books on dementia, and I am doing two further on dementia and frailty right at the minute. 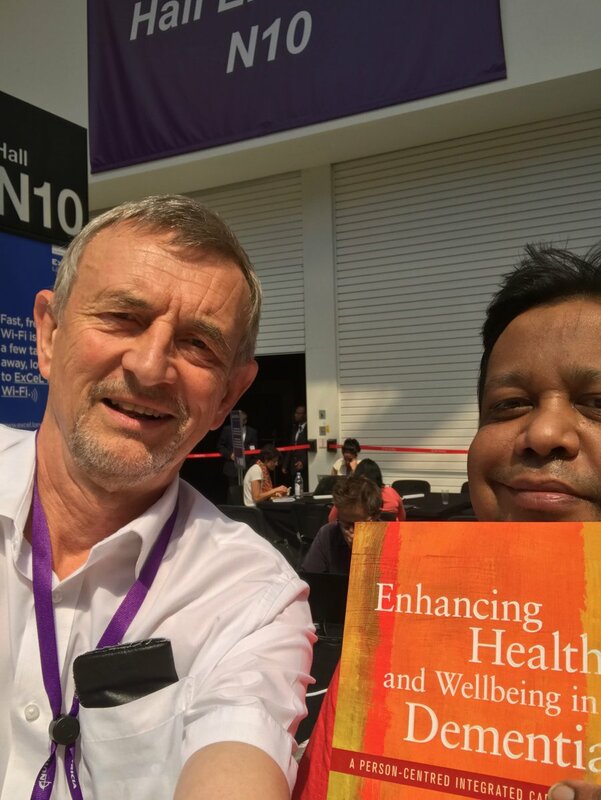 My first book indeed won best book of the year award in 2015 for the BMJ Awards. In 1999, I published a seminal contribution in dementia in the world. But I would be ineligible for jobs in academic dementia because I don’t have a ‘strong history’ of raising money in grants. There are two schools of thought about people with mental illness becoming psychiatrrists in training – ranging from terrible to excellent. But I would like to give this a go, flexibly, part-time, in an enjoyable environment. I have no wish, of course, to ‘right any wrong’. I am in awe of the medical profession. It was with much reluctance I turned up at two interviews at Freshfields and Linkaters for training contracts in the law ‘magic circle’. Despite all I have felt about the General Medical Council, I am eternally grateful to them that I do have a second chance. I try my best to look after my elderly mum, with whom I live, but even she wants me to give it a go.